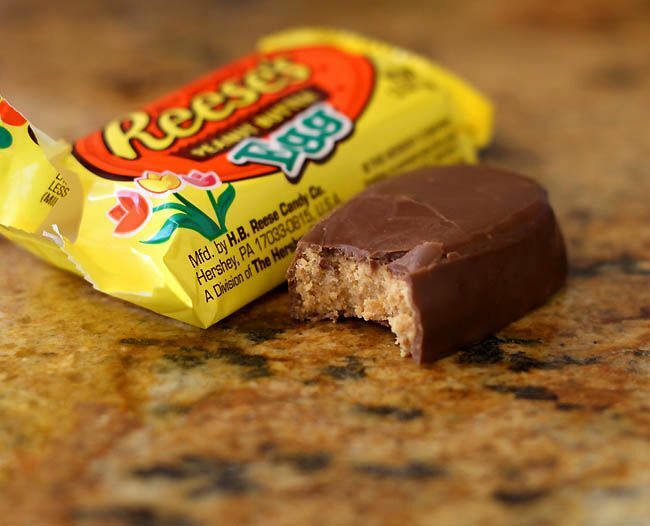 I loved peanut butter eggs from years gone by...but now am allergic to peanuts! UGH! And of course the celebration of Christ's Resurrection! You sound like my husband...one year I forgot the Reese's eggs until the day before Easter....none to be found anywhere! I was in big trouble. Now I buy them the minute they appear on the shelf! Beki, hope you have a happy and blessed Easter! YES! I've decided someone should ask Reese's to do flowers for Mother's Day and stars for the fourth of july. If they would make those - with the pumpkins, christmas trees and easter eggs, we could almost have these joys all year long!!! If I could eat one food the rest of my life, those little eggs would be it. They are to die for. Those are seriously a million times better than original reese's pb cups. For really reals. I wish they sold them year 'round.